With the advent of technologies and software, new challenges for the security of data has arisen. The cloud technologies or virtualized environments expose to such kind of threats which needs threat intelligence in network management to handle. Trend Micro Security 2019 equips you with all the latest software tools for your home networks as well as for businesses and enterprises. Whether you are a home user who needs complete Internet and device security or you are running an online business or working for an enterprise, you can get the benefit of Trend Micro Security Products. Trend Micro Security 2019 contains the complete package of protecting your businesses deployed in the cloud environment as well as in Internet of things. It allows you to keep in track the potential threats which can lead to the data breach by hackers beforehand. They collect the potential threat data and have a large database of such threats and then using machine learning and data science techniques analyze the patterns and infrastructure which can lead to new kind of vulnerabilities. In this article, the brief description of Trend Micro Security Products has been provided. Apart from knowing about each product, you will be able to download Trend Micro Security 2019 all products offline installers in this article. You can analyze which product best suits according to your requirements. 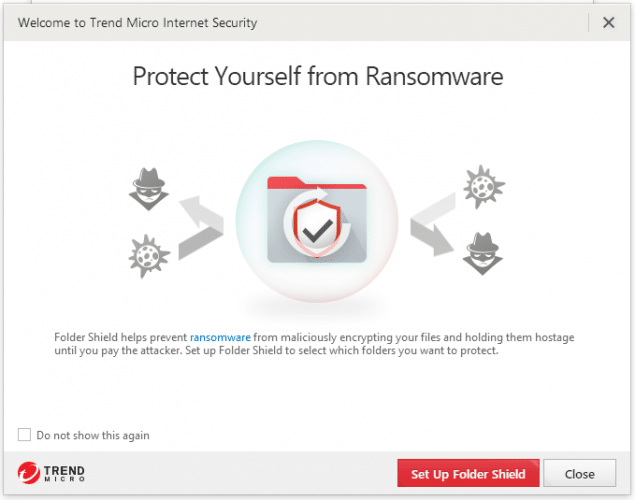 If you are looking for some antivirus to protect your computer against ransomware, threats, phishing or any sort of Internet threats then Trend Micro Security antivirus has all those features. It is easy to use without any complex settings and one device can be managed using this application. The latest threat nowadays is that your files can be encrypted by the attackers and will be decrypted only if you pay to them. Moreover, email scams can be used to steal your personal information. The Trend Micro Security contains features to protect against all such kind of cyber threats. 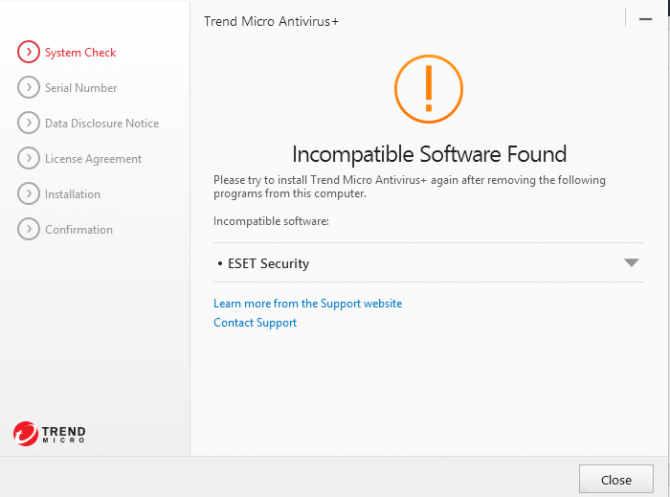 In addition to that, the virus through file download and email attachments and being infected by dangerous sites can be prevented using Trend Micro Security Antivirus 2019. System requirements include 1 GB disk space, 2 GB memory and supported Operating Systems include Windows 10 and Mac OS. You need to uninstall other antivirus software otherwise it will give software incompatible error. Trend Micro Internet Security 2019 contains the features of antivirus software along with some additional ones. It shields your privacy, optimizes the performance and provides family protection across multiple devices thus giving you a complete package to protect your digital world. You can manage 3 devices at a time using a single account. Its feature list includes performance optimization where the sites and programs slowing down your Internet and device can be checked and fixed. Moreover, if you are concerned about your privacy across social websites then it contains the feature of privacy protection which enhances your privacy settings. It also provides the feature of ransomware protection where you can protect your personal data to be exploited by unwanted scammers. Family Protection feature safeguards your devices across the Internet which safes your closed ones from cyber crimes. Multi-device protection. No. of protected devices = 2. This software protects your online payments and provides security to your mobile devices while containing the features of Internet Security and antivirus. Advance machine learning technology has been used to alert and protect you of cyber crimes. This software facilitates 6 devices at a time with a single account. Its feature list contains online safe transactions, device protection, web threats alert, family protection, security for mobile devices and protection against ransomware of any kind. A software shield is provided on devices and cloud-based environment like on Dropbox and Google Drive to protect your files being encrypted by unwanted users. Multi-device protection. No. of protected devices = 6. Trend Micro Premium Security 2019 contains all the features of the antivirus, Internet security, and mobile device protection along with an additional feature of premium assistance anytime you want. Premium Security can protect 6 devices at a time. In this application, unlimited access to virus removals up to 1 device is provided. As mentioned above 6 devices can be protected at one time but unlimited access is for 1 device only. Moreover, Trend Micro Security experts can provide you help in resolving any sort of security-related issue. Besides this feature, other features are web, device protection, safe online baking, performance optimization, and ransomware protection. 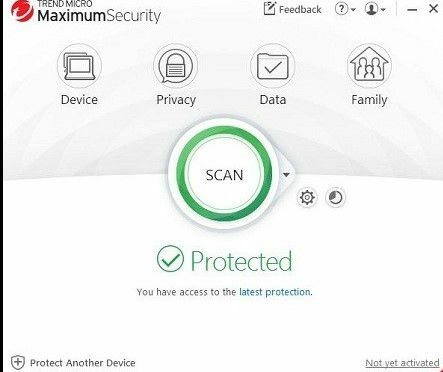 Although our favorite still remains Bitdefender 2019, overall Trend Micro products are pretty good in terms of performance and protection. If we look at the test results from AV-Test or AV-Comparatives, we come to know that Trend Micro gives great protection against online threats to the system and also does not impact system performance a lot. Trend Micro provides with a vast majority of products. So which product fulfills your security requirements?